A revival of sorts is underway of films about the psychopath, who is alleged to have killed over 40 people during a three-year crime spree. Raman Raghav is said to have killed over 40 Mumbai residents between 1966 and 1968 by bashing in their heads with an iron rod. Sickening, yes, but cinema-worthy too, which explains why he was the subject of a Sriram Raghavan film in 1991 and has inspired an upcoming production by Anurag Kashyap. Even as Kashyap casts for his movie, Raghavan’s Raman Raghav, A City, A Killer is scheduled for a revival at a screening in Mumbai in mid-October that will be organised by indie producer Drishyam Films. The event will be hosted by director Atul Sabharwal, and will be the first public outing for the hour-long film. Raman Raghav was part of a made-for-video series of successful investigations drawn from police case files. But after they were made, these films were never distributed and sat forgotten for years. Raghav was sentenced to death by the Bombay High Court, but his sentence was commuted to life after he was declared insane. He spent his life in Yerwada Central Jail near Pune, and died at the age of 63 on April 7, 1988, from kidney failure. 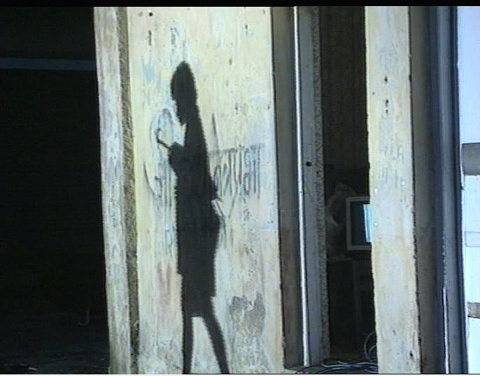 A still from Raman Raghav. Made nearly a quarter century after the crime spree, Raman Raghav is a true period piece. (The film thanks Francois Truffaut in the credits because Raghavan happened to be reading Hitchcock/Truffaut, a set of interviews conducted with the master of suspense by the French filmmaker, at the time.) Raghubir Yadav memorably plays the man who kills slum residents and footpath dwellers without design but with brutality. Dressed in a blue shirt and khaki shorts, Yadav collects the meagre belongings of his victims – aluminum vessels, a fountain pen, a magnifying glass, old clothes – and sells them for scrap. He wanders from one killing to the next, and flies into a rage when he perceives a challenge. His victims include a six-month-old baby. Some of the effects are strictly low-budget, such as the thick red fluid supposed to represent blood that periodically gushes out of the skulls of the victims, but the film is taut and atmospheric and presages Raghavan’s later preoccupation with thrillers. The filmmaker stayed faithful to Raman Raghav’s confession but added some of his own flourishes. As a panic-stricken populace organises vigilante squads and the police force pours out onto the streets, a policeman keeps watch through a hole cut out of the eye of Dev Anand from a CID movie poster. Although the brief was to praise the fleet-footed police investigation, Raghavan was drawn to the psychopath’s psychological profile. “When I met Dr Patkar, the psychiatrist who had interacted with Raman, he told me one thing that changed the script – he said, don’t treat him as a criminal but a sick man.” Accordingly, the film turns its attention to Raghav, and opens with his confession. Raghubir Yadav in ‘Raman Raghav’. Viewers might be repulsed by the character, but Yadav felt sympathy for him, which explains the nuanced performance. Raman Raghav might not have been shown anywhere, but it kick started Raghavan’s Hindi film career. Anurag Kashyap had watched a video of the film, and he recommended it to Ram Gopal Varma, who was producing movies by first-time directors alongside making his own at the time. Kashyap’s return to one of the most fascinating cases in the Mumbai police case files marks the completion of a circle that began in 1991. Mumbai has seen a few serial killers since then, such as the “Stoneman” who stalked Sion in 1983 – he bashed in heads with a stone – and the “Beerman” murders of 2006-'07, so called because the killer placed a bottle of the beverage next to each of his victims. America is serial killer country, producing enough desperadoes to inspire several books, movies and television series, but the few that India has harboured are no less inspirational – and none more so than Raman Raghav.